Learn how to perform CPR on an adult, child or infant and know what to do if someone's airway is obstructed. 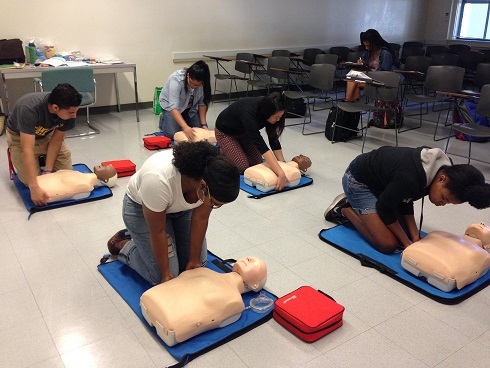 Students will also acquire the skills to use an AED (automated external defibrillator) and barrier device. Plus, there will be a discussion about the early signs of a heart attack, stroke and common risk factors. A two-year AHA certificate is issued to students who successfully pass the course.